Founded in a region of the United States with, arguably, the richest soil on the planet, a young Ames-based startup is aiming to revolutionize farming – without any of that soil. 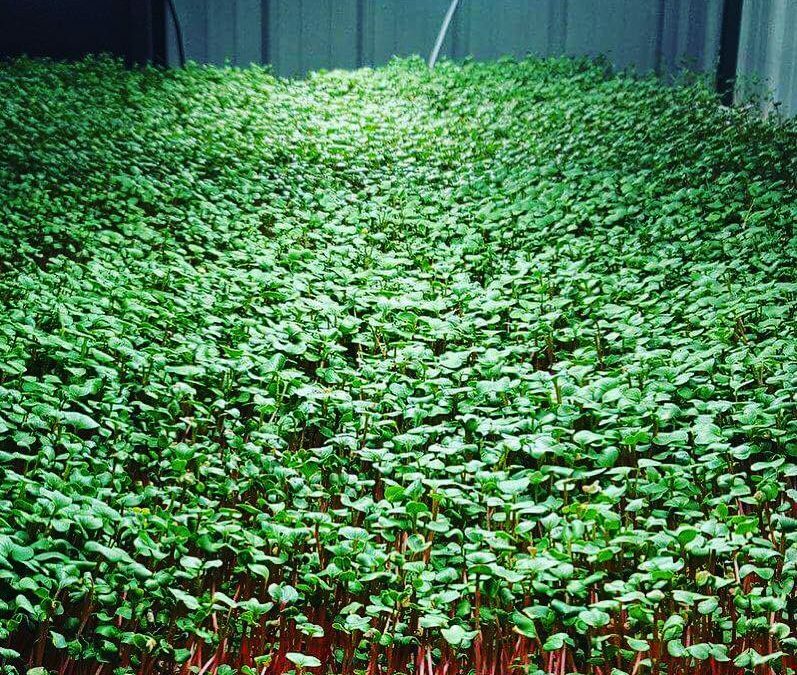 Employing a combination of high pressure aeroponics and artificial intelligence (AI), Nebullam is making waves in an increasingly competitive indoor farming industry. The company was founded in 2016 when two former community college classmates reconnected. Today, Nebullam is operating two model farms – simultaneously generating income to keep the lights on and providing proof of concept for their innovative approach to agriculture – and seeking investment from engaged venture capitalists across the country. The seed for Nebullam’s founding was planted almost a decade ago when Danen Pool, co-founder and Chief Technology Officer, made a trip to Africa. That was in 2010. For months, Pool spent his free time experimenting with various forms of hydroponics and drip irrigation. By chance, during his research, he stumbled upon a NASA article detailing high pressure aeroponics, a technology developed originally in the 1980s as a method to grow produce on space missions. The deeper Pool got into the science, the more he believed this was the way forward. With the technology, even in a very early stage, developed and tested, Pool knew that he needed some help with the business aspects of bringing his system to market. Among those at the top of Pool’s list was Clayton Mooney, a former classmate at Indian Hills Community College who had spent time as a professional poker player among other things. Mooney took a measured approach to Pool’s initial pitch. The summer in Dublin offered Mooney the time and space to consider the potential in full. The more he thought about it, he says, the more intrigued he became. Upon returning to Iowa, he was ready to partner with Pool to move the business forward. Mooney became the Chief Executive Officer, they settled on the name AeroLands, and began the startup process in earnest. 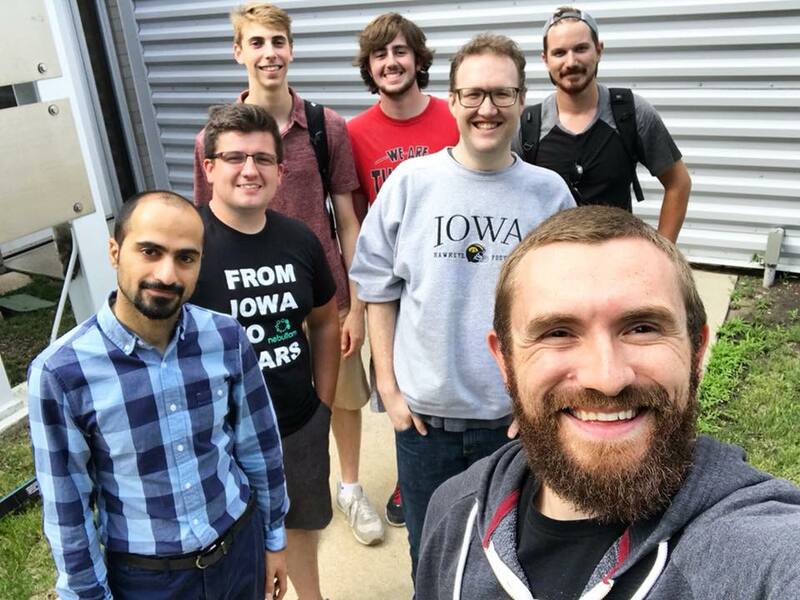 Among the newly formed team’s first actions was to reach out to experts at Iowa State University for feedback on the concept. The initial business model called for them to be producers – “indoor farmers” – providing their product from a warehouse. The longer term play was to put production units right into grocery stores and sell consumers produce they could pick themselves in the aisles of Hy-Vee or Fareway. In the search for help in solving the automation challenge, Pool and Mooney met Mahmoud Parto, who would eventually become the Chief Software Architect and final member of the founding team. Mooney met Parto within the CYstarters cohort in summer of 2016. After learning of his background in computer and software engineering, Mooney asked Parto if he’d been interested in learning more about the company. Initially, Pool and Mooney were just looking for a little help. It was then, Pool and Mooney knew that Parto could play a pivotal role. Parto couldn’t commit to the idea at first. With a full founding team established, the trio began looking for opportunities to get bigger and better. In December of 2016, they were accepted into the second cohort of the ISU Startup Factory. The Startup Factory schooled the group on best practices in building a business while pushing them into a formal customer discovery process. The year-long program proved invaluable in clarifying the vision, developing a plan for growth, completing a friends and family round of investment, and preparing the team for pitching to larger investors. They also settled on the name change to Nebullam during their participation. “The Startup Factory was instrumental in helping us to maintain a structured approach to building the company and keeping the team accountable to the vision,” Mooney says. As part of their participation in the Startup Factory, the team was provided office space in the Vermeer building in the Iowa State University Research Park. With a location so close to Iowa State, it offered more than a place for meetings and to sit down in front of a laptop. It offered access to top tier interns to move the company forward. “It is such a supportive entrepreneurial ecosystem,” Mooney says. Now “graduates” of the Startup Factory and a series of other accelerators and business development programs, the team at Nebullam has swelled to 10. They have settled on a hardware + software model that will enable indoor growers to leverage AI to fully automate the growing and harvesting process. Nebullam, however, is developing proof of concept on a product-to-producer model. The plants would come to the producer, at a central transplanting and harvesting point. Using an elaborate network that learns with each crop cycle, everything is managed by AI – from what minerals are needed to spur growth, to when a given crop is ready for harvest. This is a major differentiating factor for Nebullam when compared to others in the marketspace. With Nebullam’s technology, when crops are ready to be picked, the system is automated to perform the entire process from harvesting and cleaning conveyor belts to planting the next crop. The plan is being put into practice at the company’s second model farm, located in space at the ISU Research Park. Nebullam’s vision – and the addition of Model Farm 2 – has been met with interest. The company was recently a top 3 finisher in the Young Entrepreneur Convention Pitch Competition, which is one of the largest single-day pitch competitions in the world. Through that, the team earned a coveted spot in angel investor Jason Calacanis’ intensive program for founders, Founder University. They have also reached the finals of a handful of other prestigious pitch and business plan competitions as they continue to identify individual accredited investors and venture capitalist firms to partner with in moving Nebullam along. The team is confident they will find the right partner to bring Nebullam’s idea into practice on a large scale. And once that happens, the team is ready to shoot for the moon … or beyond. “Our technology is applicable in zero gravity conditions,” Pool says with a smile. While there is plenty to be done in those 2,500 days to make it happen, Mooney says the team is ready to do what it takes to make Nebullam a household name. “The juice is always worth the squeeze,” he says.